In the first video of this series I showed you a very unique way to solo on your guitar using pentatonic scales and open strings. We are going to take this technique further today by applying it to a very common scale pattern to create awesome blues guitar solo lines. This pattern may be common, but when we apply our forward and backward banjo roll patterns to it, as we did in the first video, it will enable you to move horizontally across the fretboard, and in the context I will demonstrate it, enable you to play awesome acoustic blues guitar solo lines that will blow people away! There are other keys that work well too, however if you find yourself in a key that is not suitable (i.e. none, or very few of the open string notes are in the key), then simply use a capo. This pattern is great for blues guitar soloing on your acoustic, and you probably already know it if you’ve been playing for a little while. 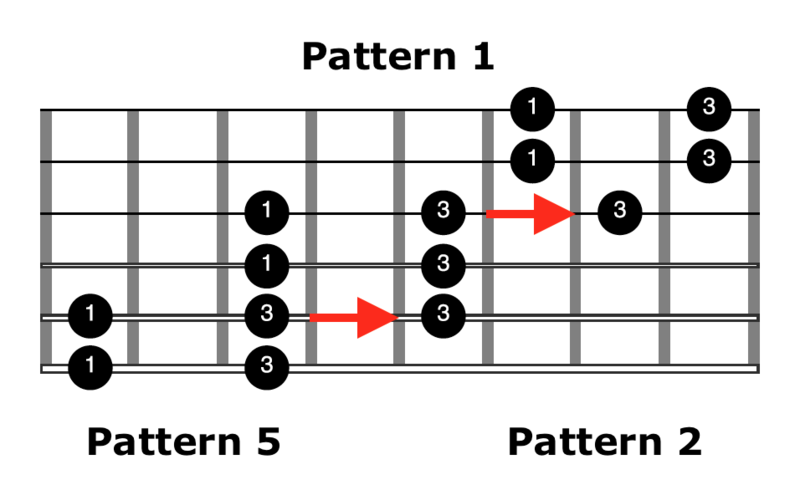 However, we are going to change this pattern up a little by applying our open string guitar soloing technique to it. The main difference between this video and the first video is that we now have the ability to move horizontally across the fretboard using our open string soloing technique, not just vertically up and down. Watch the video to see how I have created the above scale in detail, and to hear it demonstrated over a backing track to create awesome, unique and explosive blues guitar solo lines! I will also demonstrate how to integrate this technique into your “normal” blues guitar soloing to bring great contrast and depth to the lines you play. If you like this video on creating awesome blues solos using open strings on your guitar, then be sure to subscribe to my youtube channel below so you can receive notifications of more videos like this one.